At Fire Safety Store we have a range of standard intumescent sprays and liquids that include the standard intumescent spray for or use on many absorbent materials including canvas, cardboard, clothing, curtains, carpets, dust sheets, polyurethane furniture, polystyrene, tents, upholstery, wallpaper and even some nylon materials. 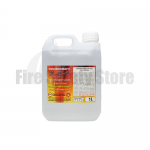 Also available is standard fire retardant liquids which are suitable for preventing rapid spread of flame on a range of upholstery, paper-based materials and soft furnishings. The standard liquids are available in 1ltr, 2ltr and 5ltr. 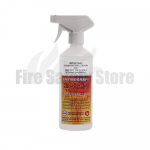 You can also purchase the special intumescent sprays for use on plastic and nylon foliage or flowers. 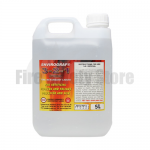 The special liquids are suitable for preventing rapid spread of flame on most absorbent plastics, nylon and other synthetics. 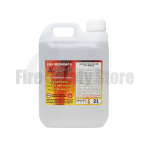 The special liquid can be purchased in 1ltr, 2ltr and 5ltr.